The transformation of agriculture in 1978 and 1979 proceeded with little instigation from the top. The peasants sensed the opportunities provided by the loosening of the party’s political control and pushed ahead. It was a process marked by wide regional variation; there seem to have been as many different names for agricultural reform experiments during this period as there are counties in China. It was also very much a matter of trial and error. When the politicians learned what the peasants were up to, they usually waited for evidence of success before they committed themselves unambiguously. Wan Li and Zhao Ziyang could claim credit for letting the farmers do what came naturally. When the experiments of the peasants bore fruit, Deng publicized their success, recognizing a good thing when he saw it. But he certainly could not take credit for giving farmers the idea. The irony, as American anthropologist Stephen Mosher realized, was that Western scholars at the time regarded the Chinese as incorrigible collectivists. “Group thinking” was considered an indelible part of traditional culture that predisposed the Chinese to Communist ways. As a result, Mosher had come to the countryside expecting to discover evidence that the peasants were fundamentally satisfied with the stability and predictability furnished by the regime. According to scholarly reasoning, the Communist Party had taken power in 1949 largely due to the support of the country dwellers. It had promised to improve the lot of the peasantry, and in this it had surely succeeded. After all, hadn’t the Communists brought schools and basic health care to even some of the most remote villages? Hadn’t they eliminated the corruption and tyranny of the old landlords? Upon his arrival, Mosher carefully noted all the characteristics of a traditional society that skewed visibly to collective ways of doing things. 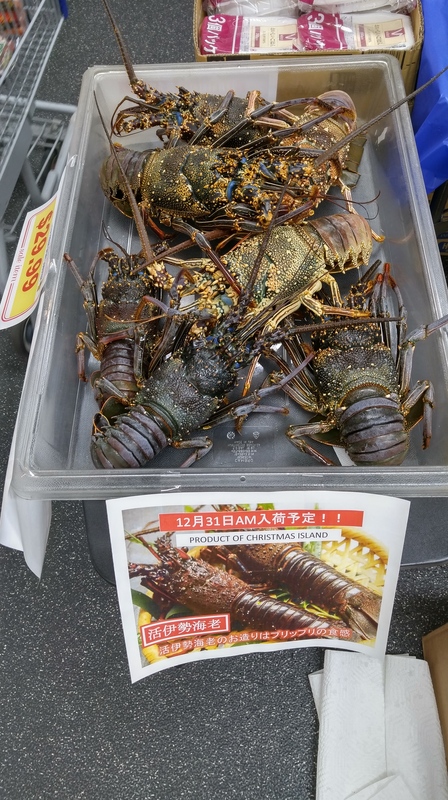 Afghanistan as "University of Jihad"
The local branch of Nijiya ('rainbow shop') Japanese supermarket in my neighborhood advertised live lobsters from Christmas Island on New Year's Eve. I'm not sure which Christmas Island they were from (probably the one spelled Kiritimati in Kiribati, where /ti/ is pronounced [si]). The kanji string 活伊勢海老 on the poster gave me some trouble. The character 活 katsu means 'living', and the lobsters were indeed still alive. The characters 伊勢 ise presumably refer to Ise Bay off Ise Grand Shrine in Mie Prefecture south of Nagoya (Aichi Prefecture). And the last characters 海老 (which look like they could be read kairou 'sea-old') spell ebi (usually spelled in katakana エビ) 'shrimp, prawn, lobster', a general name for members of the order Decapoda. The more common name for 伊勢海老 Ise ebi is ロブスター robusutaa 'lobster'.